I would have been all over these when I was a kid. And they have GPK-like names! Oh, I would definitely have wanted these when I was a kid. I had Madballs, so I'm sure I'd have wanted these too. "A bunch of BFF's (Best Fart Friends) living in San Fartsisco..." This could even describe me! You know, if I lived in San Francisco or had friends. 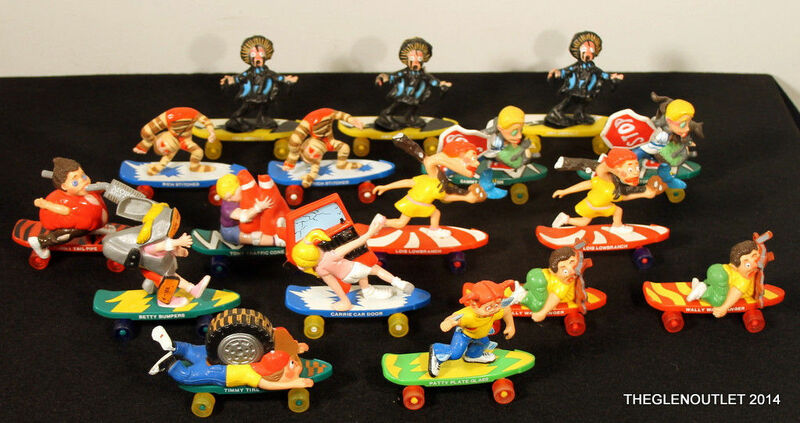 Reminds me a little of those GPK style skateboard figures from the 80s. I forget what they’re called. That’s them. I still have the one with the tire.